Come take advantage of the casual and relaxed lifestyle afforded by apartment living. Our two and three bedroom apartment homes offer many amenities designed to suit your needs. Sherwood is located across from primary, intermediate, and secondary schools. 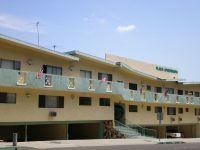 We are conveniently located near the 605 and 91 freeways, shopping, restaurants, and entertainment facilities.